After attending a lecture on “Adjunct treatments for chronic disease” by Professor Luis Vetitta from Sydney University it was pleasing to see so many GP’s who are practicing alternate medicine in attendance. They discussed the negativity they experience from their conventional medicine colleagues. Dr Vetitta summed it up saying “sometimes I am embarrassed by my profession”. Despite criticism and ongoing frustration with the conventional medical system, it’s worth taking the time to value the contributions they make. Anyone with an acute injury or illness is thankful for medical care. It is also thanks to conventional medicine that we survive the epidemic of chronic diseases we currently face. When we are evaluating the performance of our GP’s it is important to keep this in mind. Because doctors know very little about nutrition and exercise, they also tend to be dismissive of the importance of these when treating chronic health issues. Eat less and exercise more, is not current evidence for nutrition or exercise advice. Another criticism is that most in-practice education is directly from pharmaceutical companies interested in selling drugs. The distrust of drugs and serious side effects is steadily growing. Some of this criticism is valid and I look forward to the day when doctors will be willing to work with practitioners like myself to provide patients with greater options and more input into their own health. What a powerful combination medical management combined with individualised nutrition, exercise planning, and greater choice in the use of drugs and supplements would provide. Like the medical system, alternate health has brought many benefits. The alternate health sector is often the first to explore new concepts and is quick to adapt to the changing needs of the public. The evolution of the supplement industry means there are effective ways to manage disease without some of the side effects of pharmaceutical drugs. As with the medical system, this industry also has problems. It is a growth industry and completely unregulated. It is thriving on the increase in chronic health problems and actively promotes dissatisfaction with the conventional medical system. The exercise industry is similar, training and qualifications range in quality, from advanced degrees to weekend courses. Often paying the fee guarantees a certificate and is far more important than the skills mastered. How do we tell the difference when selecting a practitioner? There isn’t a defined answer to this question nor is there a one-size-fits-all approach to who you select. However, whether it is a conventional GP or Alternate Health Practitioner the key is to find someone who you feel comfortable with and that you work together to achieve your health and wellness goals. Find a practitioner who genuinely looks at the big picture. Make an appointment for a brief introductory consultation to discuss your symptoms and get a feel for the approach of the practitioner. Find someone who understands that there may be many different reasons for how you are feeling and can explain their process for identifying these. The practitioner should be able to discuss different dietary options, rather than focus on one particular strategy. Diets go through fads so it is important your practitioner really understands how each of these work and who they will benefit the most. Before recommending supplements, practitioners should suggest an appropriate testing strategy and start with either comprehensive blood testing and/or urinary organics acid testing. The goal is to use supplements for as little time as possible. It is important to realise that if you have suffered chronic health issues for a long time, that there is no such thing as a quick fix. The relationship with your practitioner is an ongoing one as you work together on different things at different times. Restoring your health is a journey and having the right people on your team will ensure that you achieve your health and wellness goals. 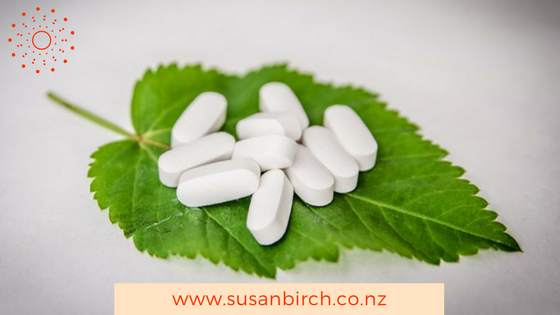 Susan Birch is an expert in functional nutrition with over 20 years experience. 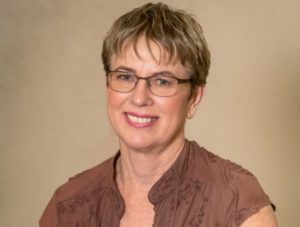 She works with clients who are struggling to lose weight, have trouble sleeping, hormonal imbalances, brain fog and digestive issues and want to feel well, feel full of energy and vitality. Contact Susan today to make a time for an introductory consultation.